Every English Premier League fan knows that feeling of dread, except fans from Arsenal, Liverpool, Manchester United, Everton, Tottenham and Chelsea, that is. Sunderland has been walking the tightrope for years. Aston Villa finally went down last year and the Geordies, after years of underachieving went down as well. Depending on your level of passion, that feeling varies from utter terror to mild anxiety, but every fan knows it. Every win is three points closer to safety. Every loss is another step towards the drop. Promotion/relegation is one of the things that makes Football so interesting. Most of my EPL related conversations with British expats in Australia revolve around the relative position of their team. Week by week banter about how their team is doing is high on the list. It seems that everyone in England has two teams, their local team and a Premier League team and rarely do the two meet. I scanned the internet for a list of relegated teams from the English Premier League which haven’t made it back to the top flight since and came up with the following. I’ve added where they are now for interest. That was like a trip down memory lane. Wimbledon, Leeds and Portsmouth probably have fared the worst but it hasn’t been easy for any of those clubs. First some background. Like most Australians that have no relatives in the Old Country and haven’t done a jaunt in England in their early years, I picked my team based on the first full EPL game I watched. It was in the early 90s and it was Newcastle United vs Blackburn Rovers. It was a great game and I just picked the club with the nicest jersey. I preferred the black and white of Newcastle over the Blackburn Shirt. What better criteria for a long lasting random decision than the colour of the jersey. At least it is better than picking Man U which every other person on the planet seems to have done. I’ve followed the Geordies ever since. I had a cursory interest in the EPL up until then mainly revolving around Australian involvement so Craig Johnston at Liverpool was pretty much it, until Harry Kewell arrived at Leeds. Australian coverage of overseas competitions was spasmodic to non-existent until Pay TV came to town in 1995. The early years were fantastic (1993/94 to 1996/97) and there were a couple of other special periods including 2001/02 to 2003/04 but 8 out of the last 10 seasons have been pretty ordinary. Each season seemed to get closer and closer to relegation. Chris Hughton, Alan Pardew, John Carver and Steve McLaren came and went. Fans constantly complaining about Mike Ashley. Finally we got Rafa and then we went down. It was very dire indeed. Anyways, that is an extremely long winded way of saying relegation hasn’t been as bad as I thought it would be. The absolute best thing that could have happened did actually happen. We kept Rafa! I don’t know why he stayed but he did and he has certainly made a difference. And then the hits kept coming. We nabbed Dwight Gayle (£10.2M), Matt Ritchie (£10.2M), Grant Hanley (£5.61M), Matz Sels (£5.61M), Ciaran Clark (£5.1M), DeAndre Yedlin (£5.02M), Mohamed Diame (£4.59M), Achraf Lazaar (£2.98M), Daryl Murphy (£2.98M), Isaac Hayden (£2.47M), Jesus Gamez (free) and Christian Atsu (loan), the majority of which were suited for playing in the Championship. Moussa Sissoko (£29.75M), Georginio Wijnaldum (£23.68M), Andros Townsend (£13.26M), Daryl Janmaat (£7.57M), Remy Cabella (£6.8M) and Papiss Demba Cisse (£4.97M) were all moved on for tidy sums. The season started with a renewed sense of optimism. Cautious optimism but renewed none-the-less. The start of the season is always interesting because after opening with losses to Fulham and Huddersfield it seemed that the sky was falling. If we knew how good the Cottagers (7th) and the Terriers (3rd) were then we might not have panicked so much. At any rate, the 4-1 win over Reading followed by 6 straight wins, including the home win against Brighton (2-0) and that absolute away spanking against QPR (6-0) certainly set minds at ease. Probably the biggest thing was actually remembering what it felt like to win again. Winning can be just as contagious as losing and it was certainly nice to transition to the former after so much of the latter. The season has had many ups and downs since then. The tough back to back wins against Brighton and Huddersfield were particular highlights. Losing Jonjo Shelvey to a five game racial vilification ban and the long term injury to Dwight Gayle have been set backs. All in all if you had asked every last Geordie if they would be happy with a six point gap between Newcastle United and the safety of automatic promotion with 9 games to go, you would not have heard one nee amongst them. It has been a fun ride so far. Next exciting episode will be on Monday, 27 March 2017 titled ‘Australia in India – How is this even possible?’. This entry was tagged Australia, England, English Premier League, EPL, Football, Newcastle United, Soccer. Bookmark the permalink. Newcastle are basically far too big for Championship. Already the last season, this whole ‘relegation’ business felt like a big joke for a club of this profile, with an UCL-winning manager in charge. Even though I’m not even a fan, it felt surreal and wrong to a 80-million pound spending side finish behind teams like Palace or Sunderland. This year, with some of the permanent defensive liabilities gone and the signing of Gayle (who’s been criminally underused at Selhust Park), Magpies are cruising – but they absolutely should be doing so anyway, with the resources they’re having. Let’s just hope they’ll be back to being a respectable PL team next season. I think the big question is whether or not Rafa gets the upgrades he needs over the Summer Transfer window. I understand that Mike Ashley is fiscally responsible (unlike some fans who despise him out of hand) but sometimes you need to pay overs to get good talent. 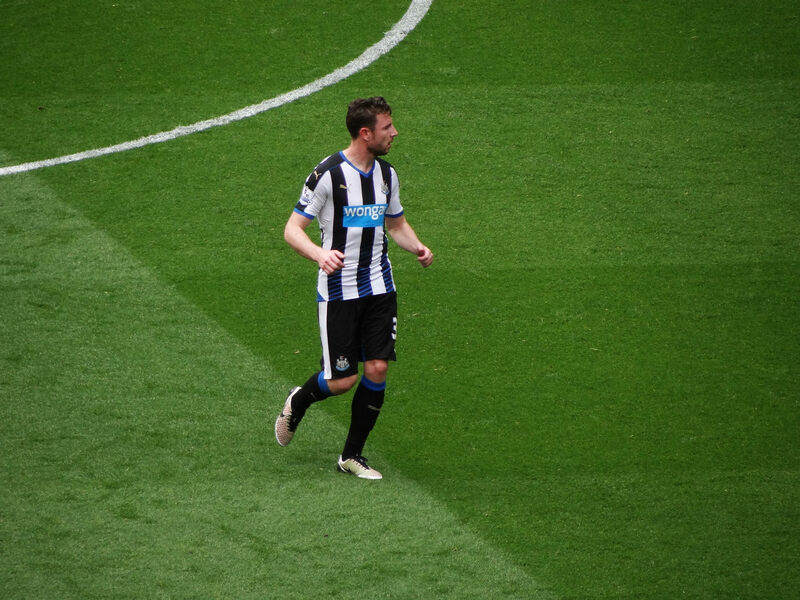 Newcastle United can still be prudent but they will definitely need some upgrades.